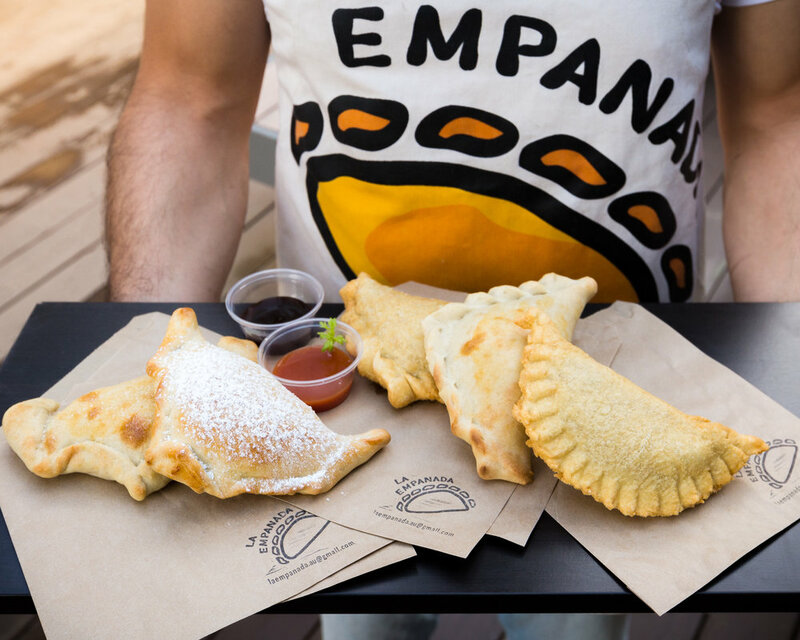 La Empanada opened in early 2016 at Old Bus Depot Markets in Kingston, ACT. Since then, our award winning chefs have been preparing both quality interpretations of modern dishes and daring new cuisine ventures by introducing the flavours of South America to Australia, through our catering business - Quinoa Catering. If you enjoy a bit of a kick in your food, you will love our Chorizo option. Ground beef, American Style Cheese and Tomatoes. Served with a side of pickles! And more...ask about our full menu! Interested in us doing catering for your next event? Or simply would like to give us feedback, please don't hesitate to reach out to us with any queries you may have. Gracias, we will be in touch soon!